The number two ranked team in the nation has been ousted from the NCAA Tournament, as the Vanderbilt Commodores‘ bid for their first NCAA title was ended on Sunday evening by the Louisville Cardinals, who swept the Commodores in two games en route to their second College World Series in school history. After topping Vanderbilt 5-3 in game one of the Nashville Super Regional on Saturday, Louisville followed with a 2-1 victory in game two to cement their bid for the NCAA title. Vanderbilt put their best arm on the mound in Tyler Beede, however, Louisville ace Jeff Thompson out-dueled the Golden Spikes Award finalist, tossing seven strong innings of one-run ball while striking out nine batters and walking two. Thompson, the Big East Conference Pitcher of the Year, helped in serving Beede his first loss of the season, after posting a NCAA-best 14-0 record coming into Sunday’s contest. Beede lasted just 2 2/3 innings, the shortest outing of the season for the Vanderbilt ace. Beede surrendered two runs on five hits, striking out two and walking three. The Cardinals did all of their offensive damage in the second inning, scoring each of their two runs. Zak Wasserman singled to right field, scoring Jeff Gardner, which would be followed by a Sutting Whiting single that would score Kyle Gibson and put the Cardinals ahead 2-0. Vanderbilt DH Zander Wiel scored the only run of the game for the Commodores, a sixth inning solo home run off of Jeff Thompson. Despite a strong relief appearance by Vanderbilt reliever Carson Fulmer, in which he went 5 1/3 scoreless innings while surrendering just two hits, the Commodores would be unable to scrape together any offensive rally against the Louisville bullpen. 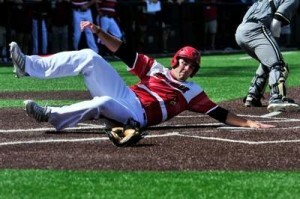 Louisville advances to the College World Series and will face Indiana, as the games in Omaha will commence on June 15.